The new 2018 Kryon’s stunning aero lines optimise technology and aesthetics. Its geometry offers effortless performance and precise handling. A reversible aero seatpost conforms to UCI standards. This versatility enables successful utilisation for sportive, triathlon and even amateur road race use. 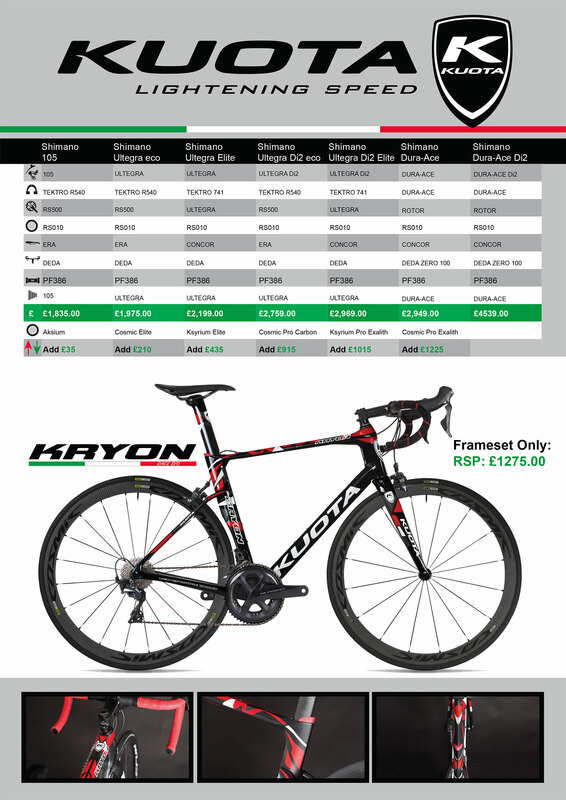 With frame weights starting from just 1070g and a choice of two paint finishes, Kryon offers compatibility with Di2 or Campag EPS with either internal or external battery positioning. Other features include a 386 BB, full carbon forks with 1.5” – 1 1/8” headset, all internal cable routing and an integrated seat clamp. The new rear triangle has been developed to accommodate tyres of up to 25 mm, which are now becoming more and more popular among both amateur and even professional cyclists. Available in two colours, Black Green Acid or Red Mosaic.